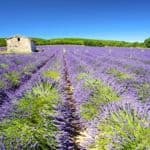 It’s small wonder that France is one of the UK’s favourite family holiday destinations. 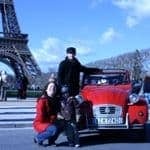 Not only is it simple and cheap to nip across the Channel, with or without your car, but there’s also a huge range of holiday possibilities to choose from – whatever time of year you want to travel. 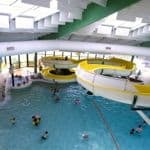 You’ll find no shortage of family accommodation or child-friendly attractions, there are activities to suit all ages and, of course, the food is superb. Add it all together and it’s perhaps not surprising that the French choose overwhelmingly to stay put en vacance. The biggest problem you’ll face is deciding where to go and what to do. Although venturing by car into Paris is not recommended, driving in France is a pleasure thanks to its comprehensive road network. The autoroute system has aires (rest areas with toilets and sometimes a children’s playground) every 10km or so. Drive onto a ferry in Dover and you could be in Calais 90 minutes later (35 minutes if you use the Eurotunnel). From wide sandy beaches in Normandy to sheltered coves in Brittany, northern France makes an ideal seaside family holiday. History takes on a vivid, sometimes overwhelming, clarity for older children who have been studying the World Wars at school, while nature lovers will find plenty of interest at Brest’s mega-aquarium Oceanopolis or the seabird-smothered Sept-Iles. 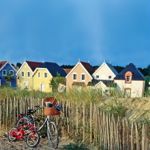 Siblu Villages also has France covered – they have holiday villages in Normandy, The Languedoc, the Loire Valley, Charente Maritime and Aquitaine. Each one offers comfortable, modern mobile home accommodation, along with big pool complexes, free kids clubs, sports and entertainment. 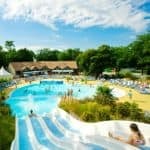 In northern France, Domain de Kerlann is a lively parc close to several of Brittany’s finest beaches. If you want privacy and freedom, rent a boat to cruise the rivers and canals of France, from Brittany to Burgundy, Alsace to Aquitaine. The boats accommodate 3 – 12 people and potter along at a gentle pace. No training is required, and you’ll have time for cycling, swimming, walking and spotting wildlife. See more about family boating in France. 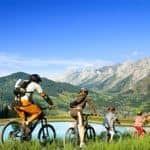 You could also take a self-guided family cycling holiday staying at characterful hotels along the way. 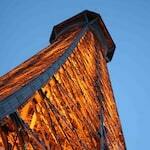 If you’re serious about adventure, two locations in France tower over the rest. Offering everything from whitewater rafting, mountain biking and rock climbing to parapenting, tobogganing and skiing, the mountain resorts of the French Alps and Pyrenees alternate effortlessly between winter ski sensations and summer action stations. Inghams has a fabulous programme of summer activity holidays in the lakes and mountains of Europe with low prices, excellent childcare and selected free child places. 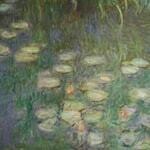 Its most popular destinations in France include Morzine and Chamonix. 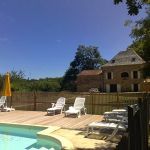 Headwater has a great range of independent family activity holidays in France featuring cycling, walking and canoeing. During winter, Esprit Ski offers family holidays in several of the top European resorts, including Courchevel, Les Arcs and Tignes. Again, you’ll get a full range of Esprit Classic Child Care options, as well as exclusive ski classes for children aged 3 to 12 years old, and snowboarding, ski guiding and all-day ski classes for older children. Accommodation includes chalet hotels or catered chalets – ideal for larger families or groups of friends travelling together. Also highly recommended for family holidays in the Alps, Peak Retreats offers no fewer than 50 winter resorts and 39 summer resorts. In summer, take your pick from traditional alpine resorts such as Les Gets and Tignes. You’ll be spoilt for choice – not only for activities – but also accommodation which includes self-catering apartments, private chalets and family-run hotels. In winter, Peak Retreats focuses on compact resorts with well-linked ski areas, ski-in/ski-out accommodation and lots of extra activities besides skiing – all of which are important factors when planning a skiing holiday with children. Adventure specialists Activities Abroad and PGL both offer family holidays in another adrenaline hotspot in France: the Ardeche River. 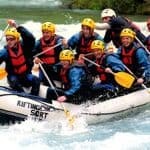 The week-long Ardeche Active Adventure and Ride the Ardeche Rapids itineraries provide a non-stop rush of Canadian canoeing, canyoning, rock climbing and whitewater paddling in the foaming torrents of the Ardeche. 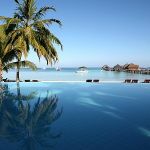 If you prefer less turbulent water on holiday, splash out on a villa with a pool. It’s a good option for teenagers who like a bit of personal space, or parents with young children who want independence and flexibility to maintain daily routines. Staying in a self-catering property also puts children more in touch with rural French life. Visiting local shops and markets might even get them speaking some French (help them by downloading the Duolingo app to their phones). 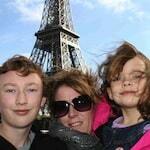 Vintage Travel has an excellent selection of family villa holidays in France. As well as a swimming pool, you’ll find a generous welcome pack of provisions on arrival and you can choose to either arrange your own flights (or self-drive) or book travel arrangements through the operator. La Maison Fleurie has two bedrooms with a country cottage feel and is ideal for a small family looking to explore the Lot countryside. Mas des Oliviers is ideal for families with older children who want their own space. It has a gorgeous pool in the tiered gardens, table tennis, with horse riding and tennis nearby. For large parties – a multigenerational family holiday perhaps, or one where you are sharing with friends and other families – The Big Domain specialises in properties that cater for up to 56 people. For something equally special, Oliver’s Travels has a portfolio of extraordinary chateau holidays and castle rentals throughout France. In the Loire Valley, Chateau Gombardy has room for up to 16 people and boasts a separate coach house, which teenagers would no doubt love to stake a claim on. 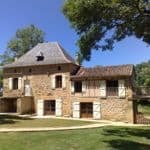 For school age children, we particularly like its villas in the Dordogne. At most properties, you can arrange for a maid, chef and even a butler to take care of catering. Scott Dunn offers special extras at their fabulous luxury staffed villas in the South of France. Each property comes with an experienced chef, host and the services of a fully qualified Scott Dunn nanny. You’ll even be met at the airport and can have all of your family days out and activities arranged for you. 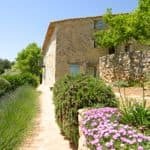 The villas sleep from six to 12 guests and include Bastide des Virettes, with its gorgeous terrace overlooking Provence to the Mediterranean, large swimming pool and Baroque-style interior. Bastise Aixoise was brand new in 2014 and more contemporary in style, with minimalist interiors and a stylish infinity pool, while La Perriere is a traditional Provencal villa with terraced gardens and far-reaching views towards the sea. Unsurprisingly the Mediterranean features highly on many families’ wish lists. 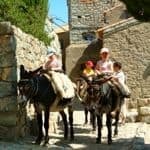 Not only are the Côte d’Azur and Languedoc-Rousillon coasts fringed with stunning coves and beaches, but you don’t have to go far inland to find action-packed gorges and a good spattering of Roman ruins and medieval hilltop towns. 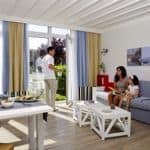 The French company Club Med invented the all-inclusive holiday and now has 46 resorts worldwide that cater specifically to families, including some crackers in France itself. As you’d expect, the food is outstanding, as well offering an exciting range of sports and activities. See the latest offers. Paris is seriously cool if you’ve got teenagers. Of course, you may need to strike a deal – a morning perusing the Louvre in return for a few hours browsing designer stores on the Champs Elysée. Buggy-bound babies, on the other hand, are usually content to be wheeled around for hours while their parents soak up the city sights or indulge in a spot of pavement café culture. And let’s not forget Mickey and pals… From Disney to Da Vinci, Paris has plenty to offer children of all ages. Scaling the Eiffel Tower has to top your must-do list. Either take the lift or climb 1,665 steps to the second level, from where another elevator whisks you to the viewing gallery at 274m. Don’t be put off by the daunting scale of the Louvre. With kids in tow, focus on a few of the main exhibits, such as the Mona Lisa, Venus de Milo and Winged Victory. You can also download a family trail from the museum’s website. If you’re after something more hands-on, try the science museum at Parc de la Villete. For maximum gross factor you can’t go wrong with the Catacombes de Paris (stacked with the bones of exhumed Parisians) and if you’re looking for an alternative to Disneyland, try Parc Asterix with its rollercoasters and water rides. Crêperies make great energy-boosting stops for children – or treat them to ice cream at Berthillon (across the bridge from Notre Dame). The Métro is a good way to get around Paris, while the River Seine’s hop-on, hop-off Batobus boats link top sights. Kirker Holidays can also arrange personalised family breaks in Paris, staying in centrally located accommodation, such as the Hotel Royal, with its interconnecting rooms. The Kirker Concierge can book activities and excursions for all the family – from museum passes and restaurant reservations to a day out in Disneyland Paris. Paris is one of 15 European cities featured in the Kids Collection of family-friendly city breaks offered by i-escape where you can choose from a range of self-catering options, including this stylish Parisian loft. Compared to most hotels, you’ll enjoy a lot more space, privacy and freedom, at a lower price. Corsica seems a world away from the busy resorts and beaches of the Mediterranean. Although it receives its fair share of summer holidaymakers, this lovely island remains one of the truly wild and unspoiled gems of the region. Corsica has picture-postcard ports, pine-scented forests, ancient citadels and jagged mountains. 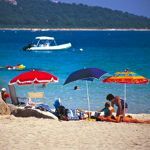 In the northwest, the gently shelving bay at Calvi is popular with families, while St Florent in the northeast also has some fine beaches. Campomoro, Propriano and the coves at Cappiciola are top spots in the southwest. 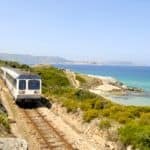 With fine white sand and brilliant turquoise water, Palombaggia in the far south is stunning, but can get busy during the height of summer. You can fly direct from the UK to Bastia in less than two hours or take a ferry from the French or Italian mainland. Crossings take between two and 5½ hours. Corsican Places offers an unrivalled selection of hotels, villas, apartments and residences on the island, as well as tailor-made and touring itineraries.